The Artographics module helps young children to develop the skills they require both for writing and to express themselves creatively in art work. They have opportunities to develop the fine motor control and spatial awareness both tasks require. They learn that they can use marks on paper or manipulate plasticine, to create visual models of aspects of the world, using a variety of media to create expressive images. They learn how to represent subjects in movement as well as at rest, and how to use contrasting features of posture and facial expression to convey different emotions. They also learn to use colour to express emotion and create contrasting mood. Writing and imaginative expression in the visual arts are both highly complex activities involving similar sets of abilities. Writing is very difficult. Yet we expect children to be able to master it at a frighteningly early age despite its inherent difficulties, and often without adequate preparation. Writing involves the development of skills, for example, being able to grip the pencil correctly, and being able to control its movement and the pressure we exert on it. It involves the ability to remember, plan and execute a sequence of movements fluently. It also involves the ability to understand the purpose of the task – letters are not random shapes but symbols that allow us to record meaning. Similarly we can identify some of the elements required to facilitate the creative production of representational images. First and foremost, children need to grasp the concept of a visual model – the idea that we can use marks on paper to represent what we see, and use these to communicate with others. Then they need opportunities to develop the skills required to manipulate a pencil, charcoal, paint or plasticine; they need to practise organising and executing the sequence of movements required to actually produce the particular representation they have planned. They also need knowledge of techniques, for example techniques for creating the impression of movement or for expressing emotion and mood. 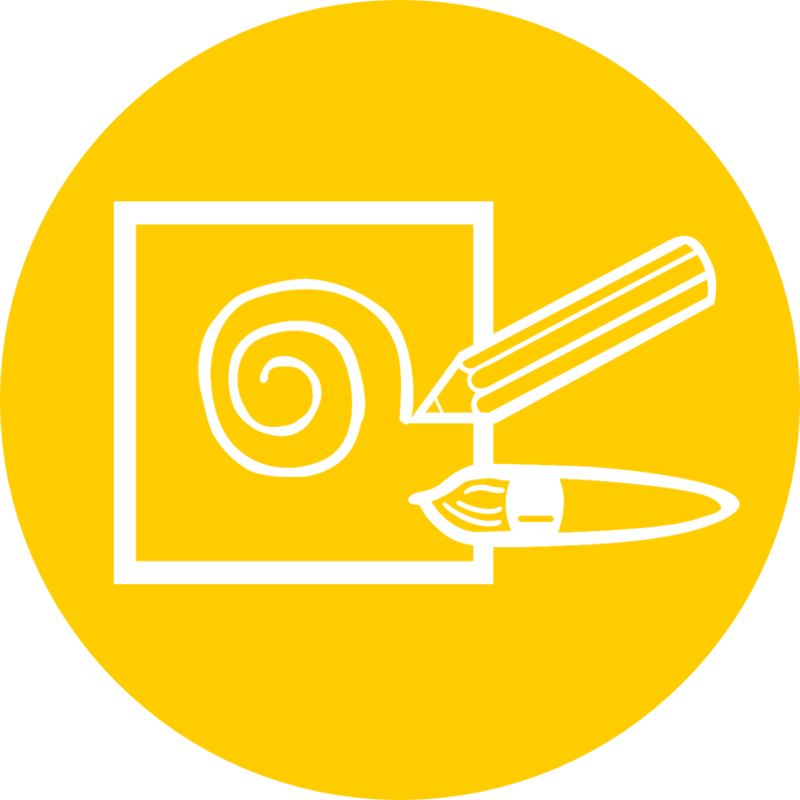 The Artographics module provides a progressive and structured framework for supporting the development of both writing and imaginative self-expression in art. In the early stages there are tasks that introduce even very young children to the idea that marks on a page can be used to represent features of the visual environment; to develop spatial awareness by encouraging them to use all the available space on a page; and to introduce the symbolic use of warm and cold colours to represent happy or sad states. In the later stages of the module, children observe phenomena before they draw, paint or model them in plasticine. They identify the visual elements that are critical for creating specific representations of, for example, an animal in movement or the expression on a face. There are tasks to extend understanding of the symbolic use of colour. Discussion and displays of work help to promote communication skills, self confidence and pride in achievement. An important feature of this part of the program is the expectation that young children can and will learn by observing as an adult models complex, skilful behaviour. Opportunities to practise doing this are excellent preparation for the kind of learning experiences children will meet in the future as part of their education.